LAGOS NOVEMBER 6TH (URHOBOTODAY)-The Office of Rt. Hon. Mutu Nicholas Ebomo wishes to clear the air on the rumor making rounds that the member representing Bomadi/Patani Federal Constituency in the Federal House of Representative Rt. Hon. Mutu Nicholas Ebomo nominated ghost names for the amnesty programme. I, Barr. Ebitimi Ogbomah legislative aide to Rt. Hon. Mutu Nicholas states and clarifies that there are two committees in the House of Representatives responsible for the oversight of Niger Delta affairs/issues. 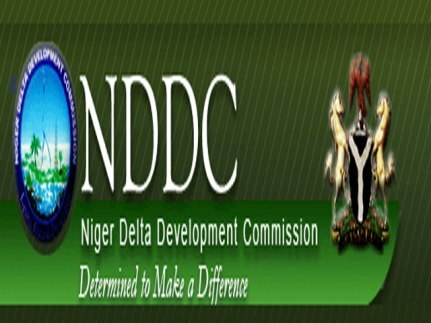 They are the committee on Niger Delta Development Commission and the Committee on Niger Delta. The committee on Niger Delta Development commission which was chaired by Hon. Mutu Nicholas was responsible for the oversight of the NDDC and it had nothing to do with the ministry of Niger Delta and the Amnesty programme. While the committee on Niger Delta oversight the ministry of Niger Delta and the amnesty program. I wish to state further that Hon. Mutu Nicholas has never been given any slot or nomination in the amnesty program by either the office of the SA on amnesty program or any other person and as such his constituents have never benefited from the amnesty programme through him. I wish to also state here that Hon. Mutu Nicholas is known for his generosity and as such if given slots or nominations for the amnesty program, he will never hesitate to give it out to his constituents. This clarification becomes necessary as a result of the unfounded lies being circulated concerning the purported ghost names in the amnesty programme. I believe that the Rt. hon. nicholas Mutu is saying the truth. Shame on those people who want to bring down the reputations of good people.